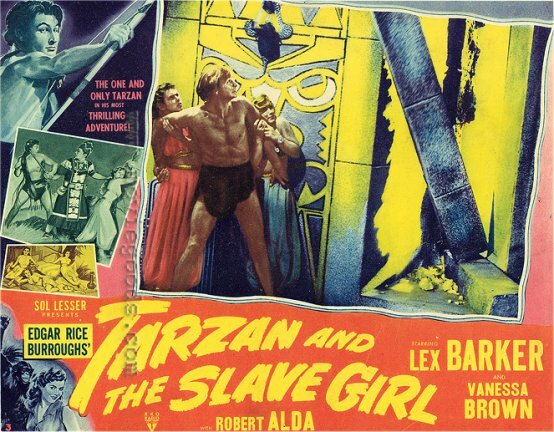 "Tarzan avenges stolen jungle slave-brides!" The Lionians are a tribe dying of a mysterious disease that is killing off the female population -- and they have grown desperate. 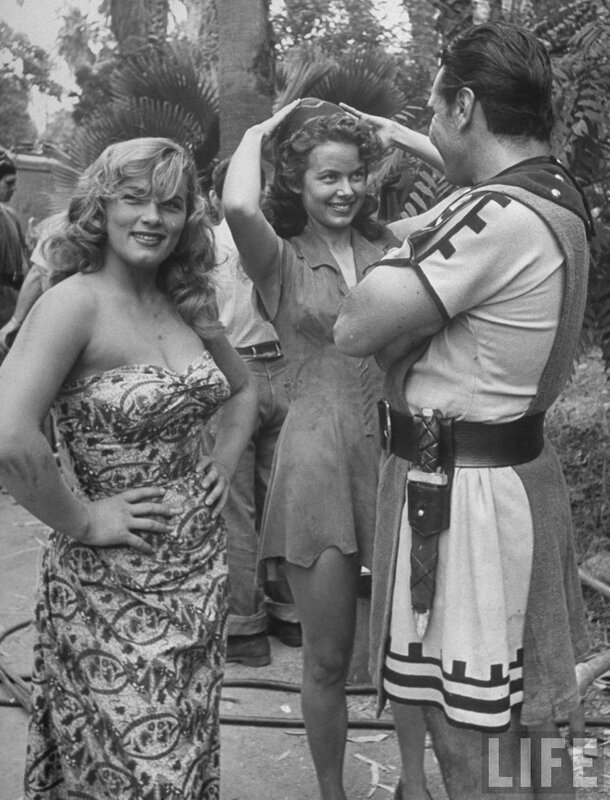 They have begun capturing young women from surrounding tribes in order to solve their dilemma. 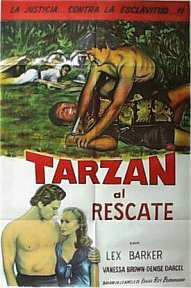 Tarzan becomes involved when he tries to stop a raiding party from carrying off yet another victim. 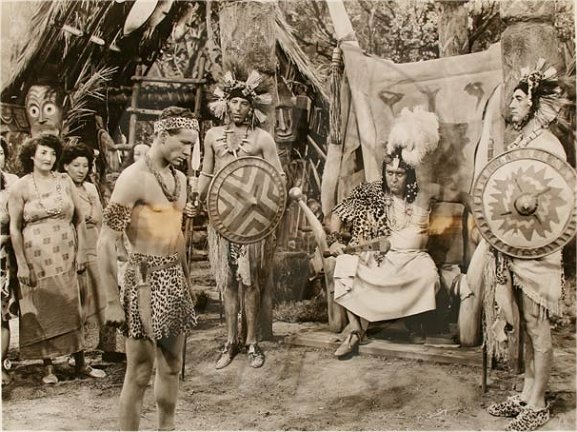 The Lionian Chief decides to kidnap Jane and Lola, in order to help repopulate his civilization. 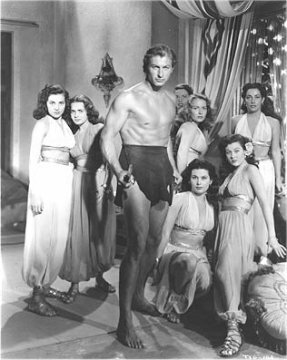 Tarzan must rescue them while fending off blowgun attacks from people called the Waddies who are disguised as bushes. 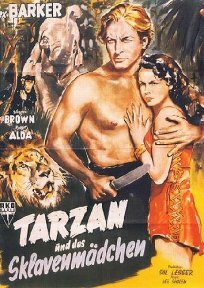 The a cure for the disease attacking the Lionians is discovered by a doctor, Arthur Shields, who accompanies Tarzan to the Lionian city. 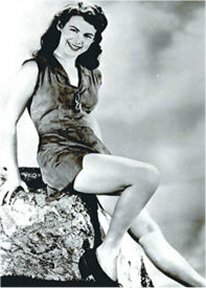 The "slave girl" of the title is played by Denise Darcel, a seductive nurse. 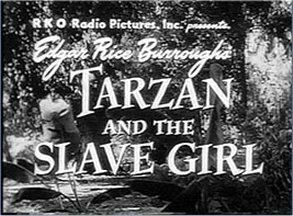 Tarzan and Shields reach the city of the Lionians and find the imprisoned girls there, including Jane and the nurse, who have also been captured during their roundabout journey to the city. 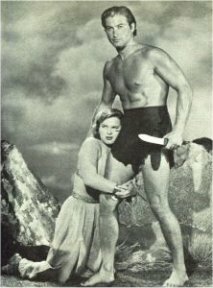 The king seals Tarzan and Jane in their temple as dangerous enemies to his rule. 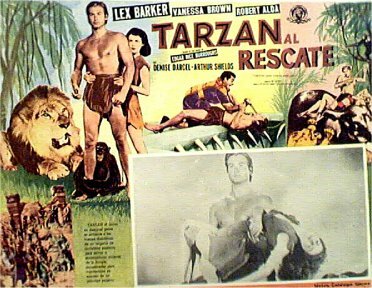 Tarzan climbs to the top of the structure, overturns the idol and escapes. 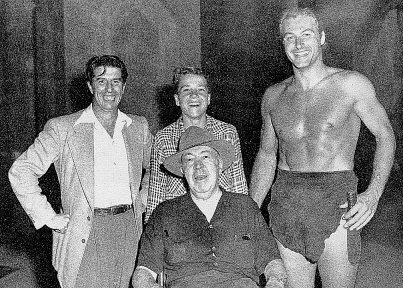 Warwick, he High Priest, is being fed to the lions for daring to speak out against the King's unethical scheme but Tarzan's prowess rescues him and the king's evil advisor, Caruso, falls into the lions den. Shields provides a cure for the disease, the enslaved girls are returned to their homes and the king repents. 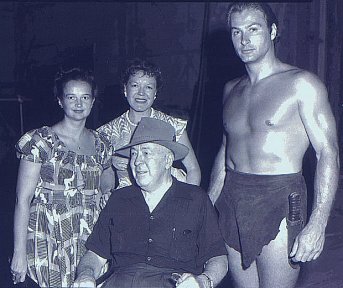 Costume and Wardrobe: Frank Beetson Jr.
Edgar Rice Burroughs made his last public appearance on the set of this movie.